All in all there is no better way to get rid of hair on your skin than Sugaring. That is a fact. Read more about the benefits of Sugaring here. We wanted to make the hassle of hair removal as accessible and easy for you as possible. We therefore try our best to have short notice appointments available for you anytime. This way our customers can integrate the visit in their everyday life as easy as possible. In case you are more of a planner and like your fixed appointment well in advance we also offer the possibility to make an appointment – you decide. Other than that what was really important to us was to create a space of wellbeing and feeling comfortable for you. You can relax, drink tea or coffee and read a magazine in our spacious waiting area.  The true treasures and sweethearts of Sweet Treat are our employees. Perfection is their imperative and each single one has to pass our strict assessment and training in order to become part of the Sweet Treat family. Sweet Treat is an affair of the heart. We have created this space for you with all our passion and love for detail and look forward to welcoming you soon! We are here for you Monday-Saturday from 10 am to 8 pm!